Here at Big Sky Racks we believe that when it comes to people’s lives and security a second-best product should not be a consideration. That’s why your choice should be Big Sky Racks for all your weapon mount needs. Our weapon mount systems are the most durable and reliable on the market today. The main focus of everything we do is to service the needs of law enforcement and constantly improve our equipment as technology and society place more demands on our law enforcement community. 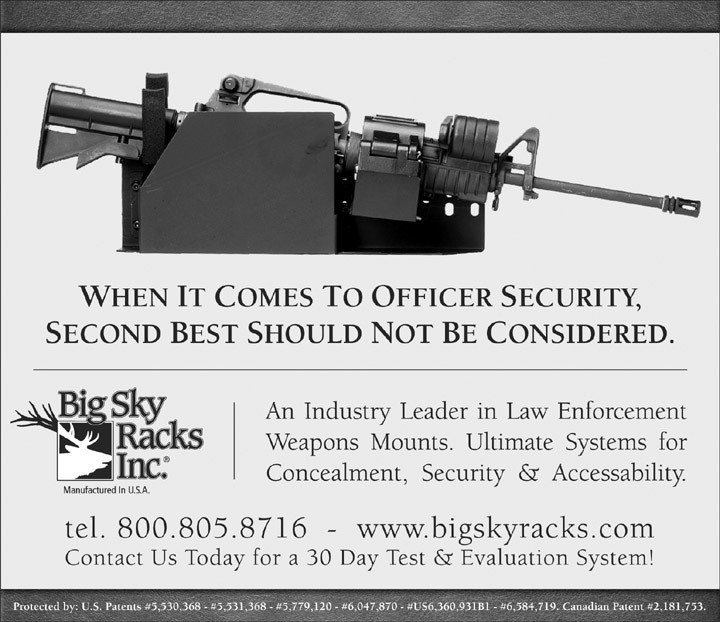 Big Sky Racks provides the LE profession with an innovative, safe, reliable and durable weapon mount system – the ELS series – the ultimate in security and accessibility. Visit us at www.bigskyracks.com and learn more.